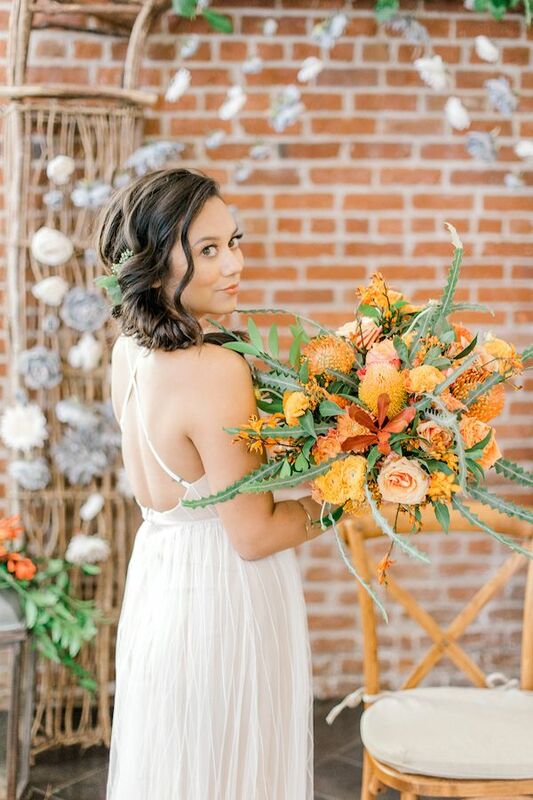 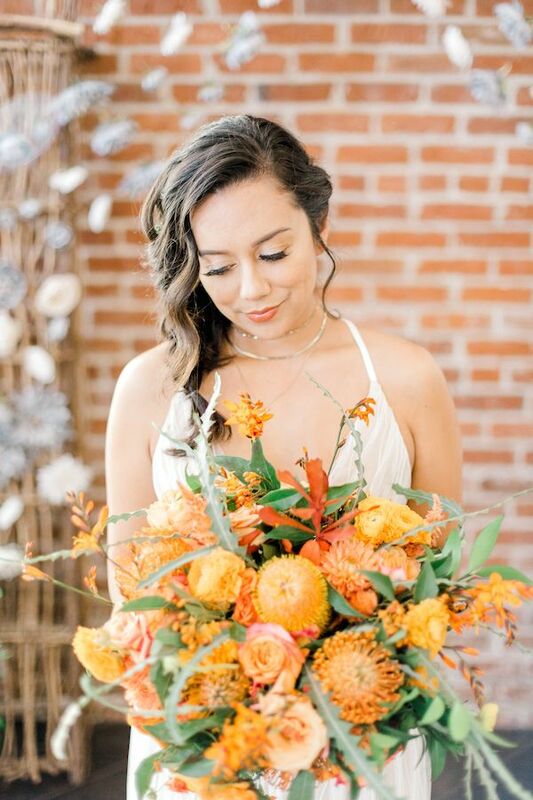 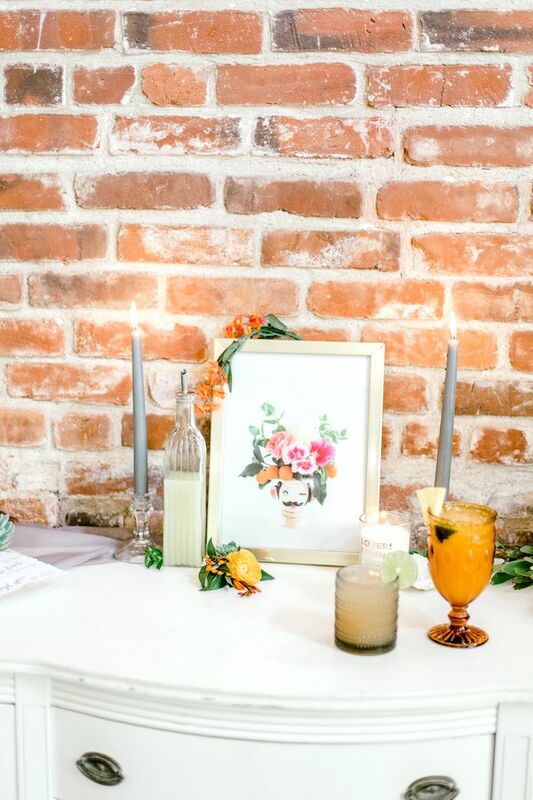 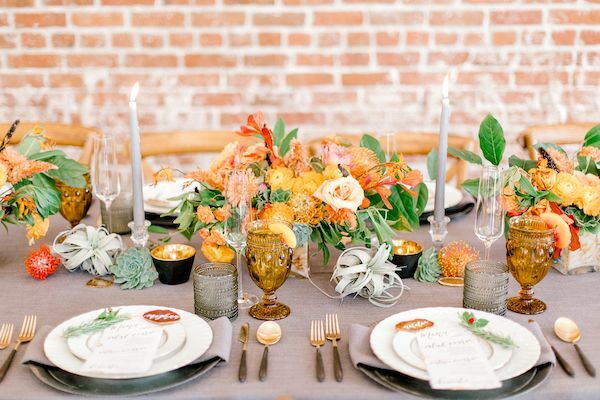 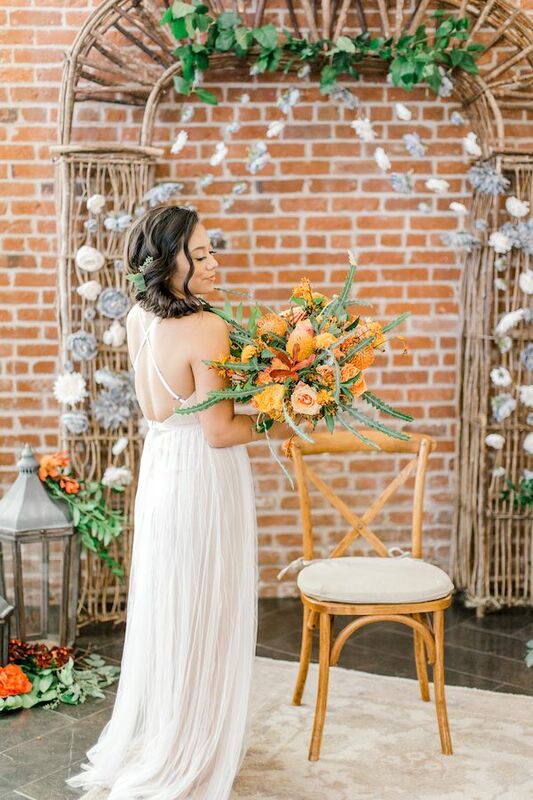 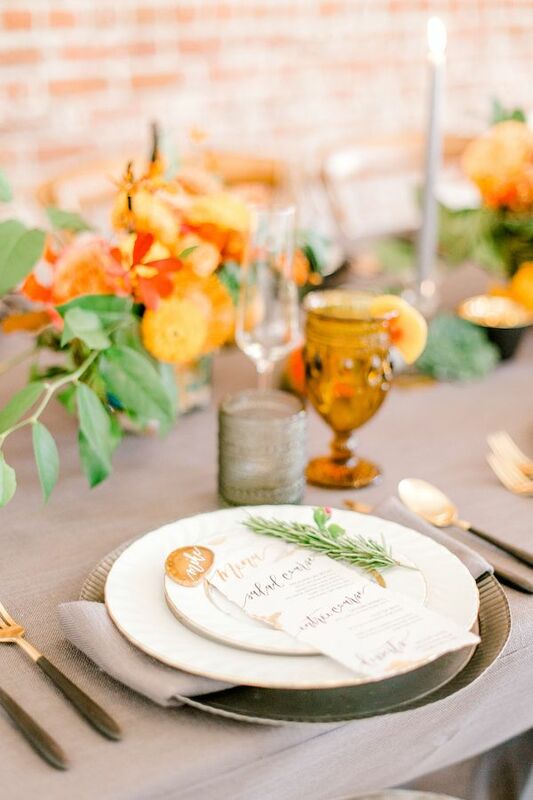 With heaps of yummy florals designed by The Flower Story Co and with exquisite styling from Events by the Cea — this team of California wedding pros paired southwest boho vibes with classic elegance. 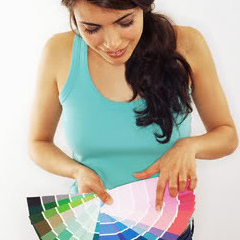 And the result? 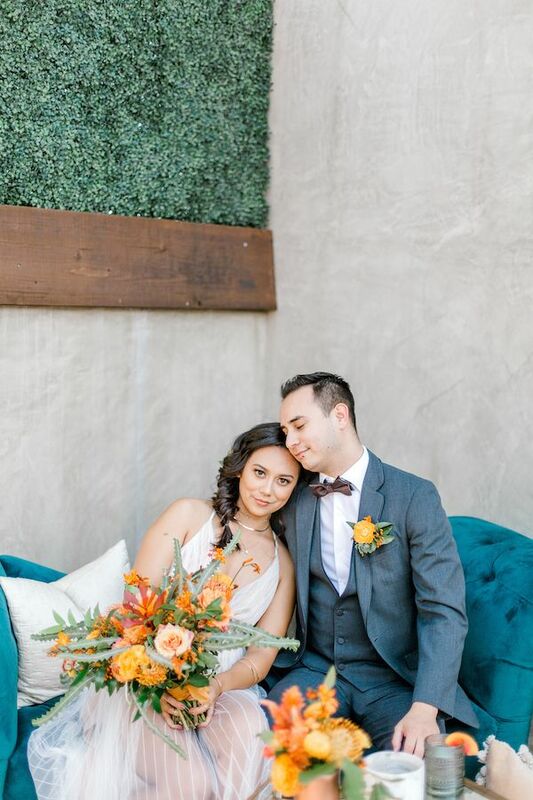 The ultimate swoon fest. 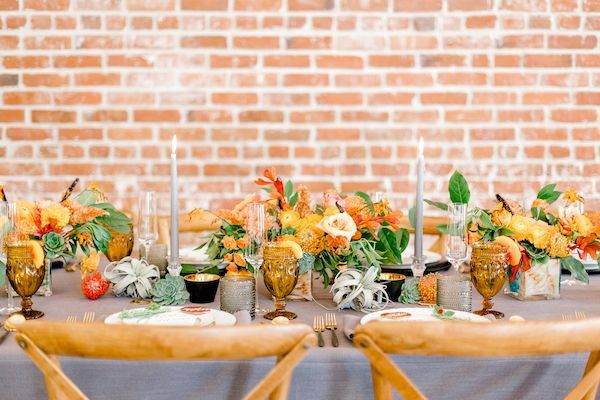 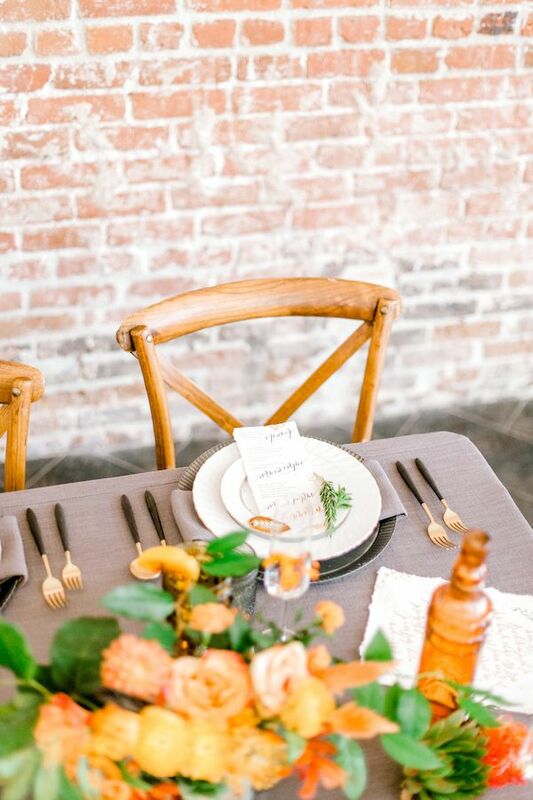 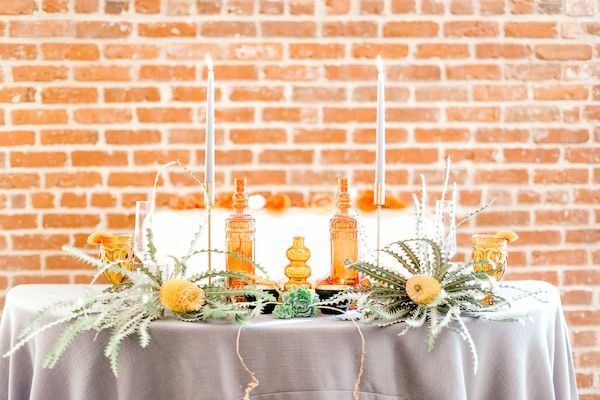 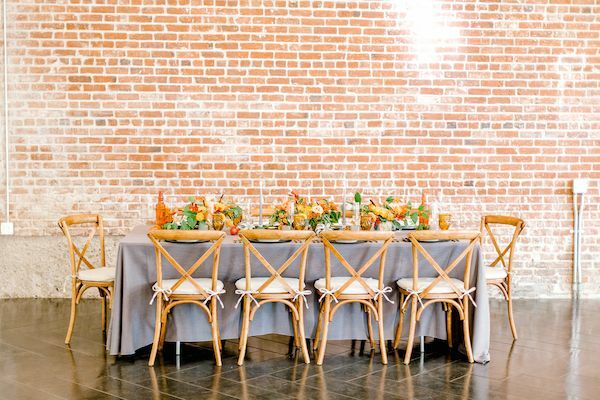 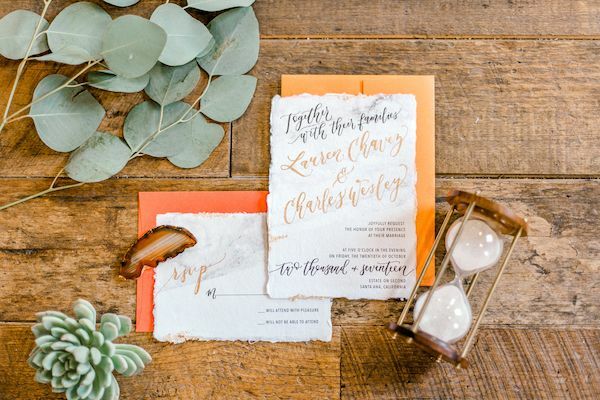 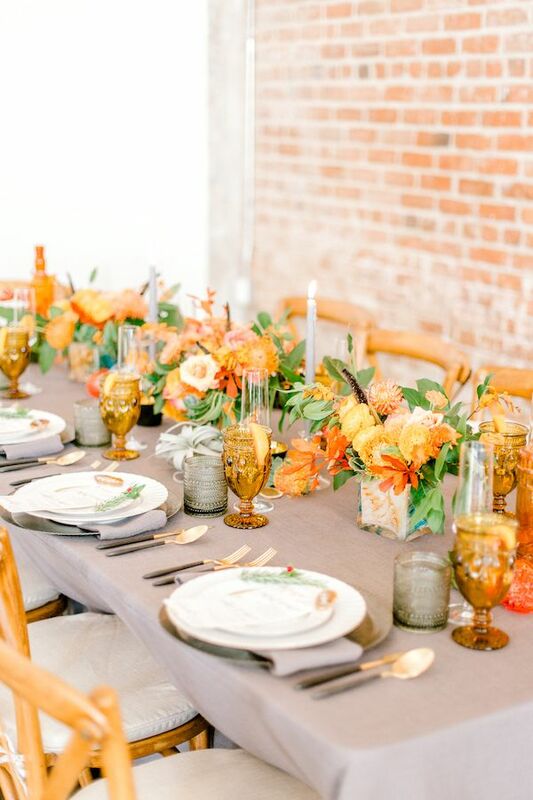 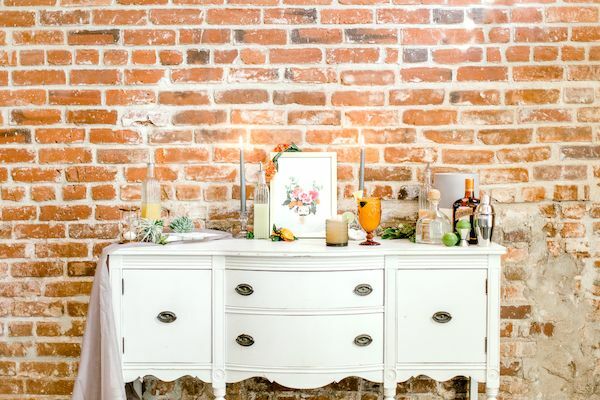 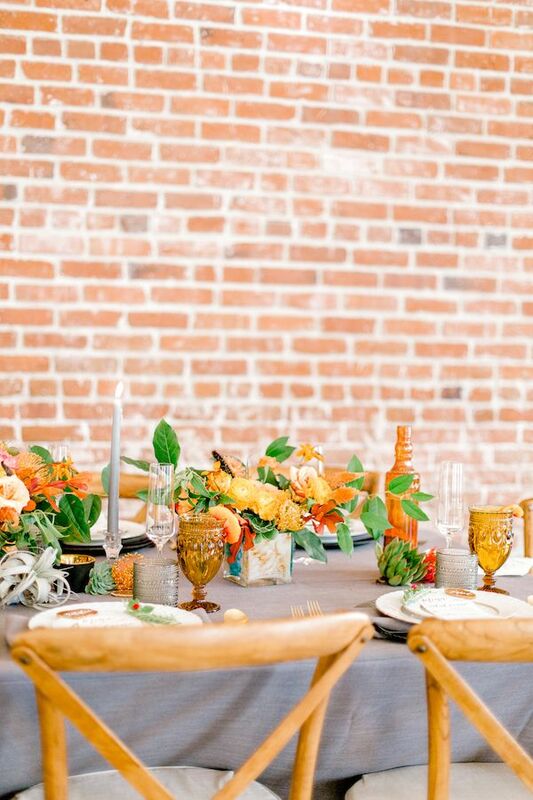 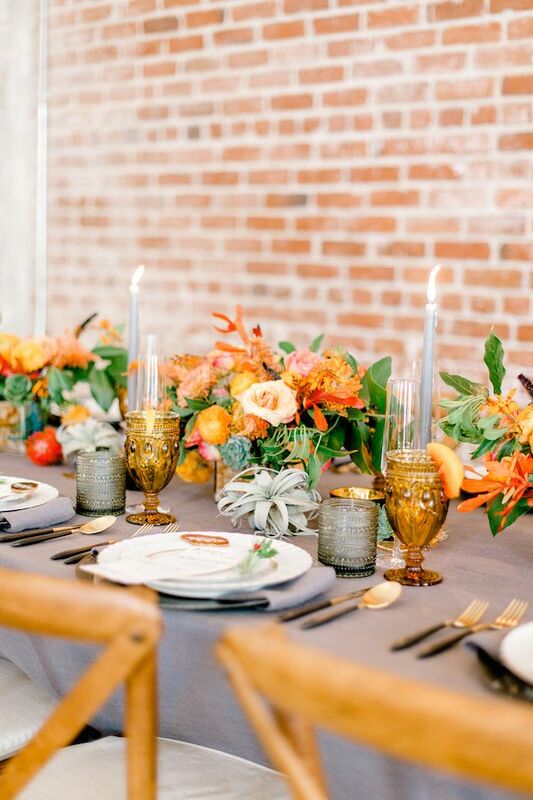 The Events by the Cea team decided to play with the earthy tones that embody venue space at The Estate on Second — from the burnt orange brick, to the distressed wood elements and natural lighting throughout the space. 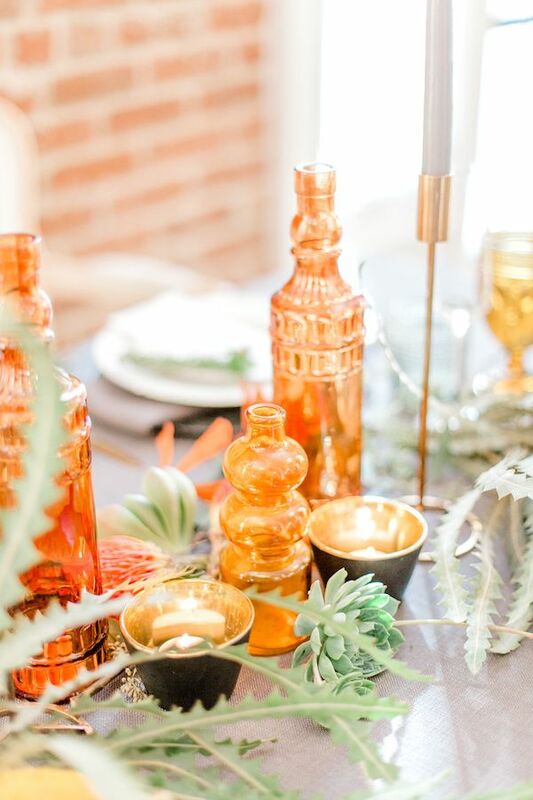 In addition, they focused on elements like agate and marble, as they both represent the beauty found in nature and a earth that is imbued with warmth and intimacy. 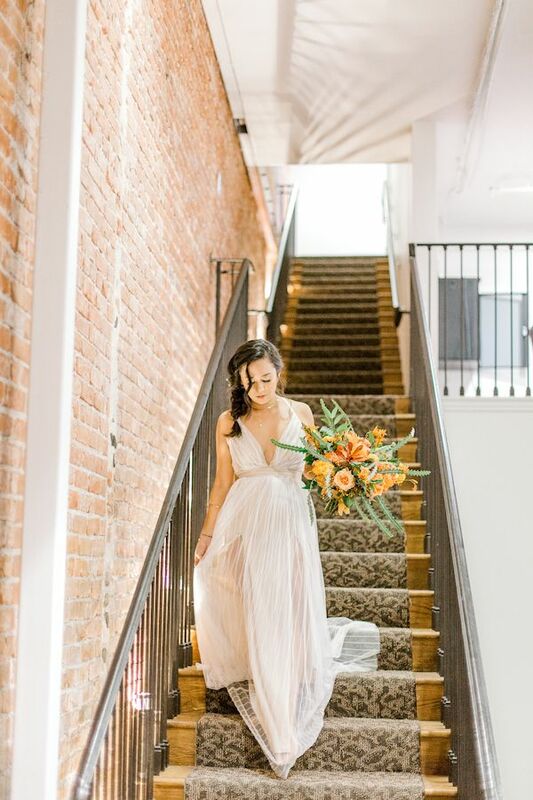 Harper & Grace Photography gives us a glimpse of all the gorgeous that was dreamt up on this day! 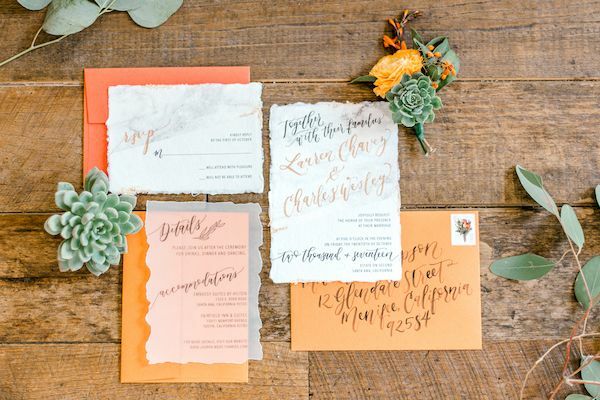 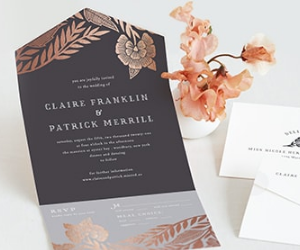 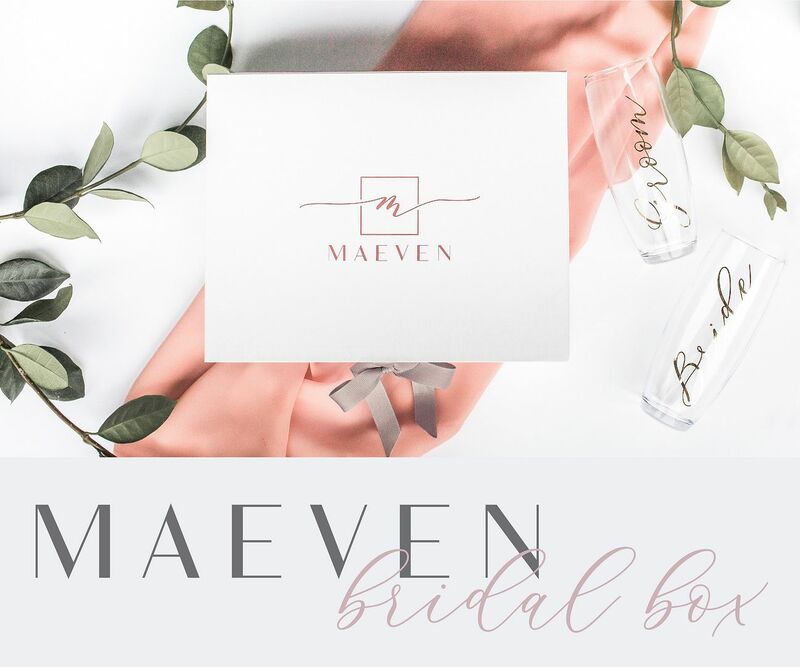 This exquisite handcrafted wedding invitation from Sam Allen Creates proved to be the perfect way to set the tone for this elegant yet earthy affair. 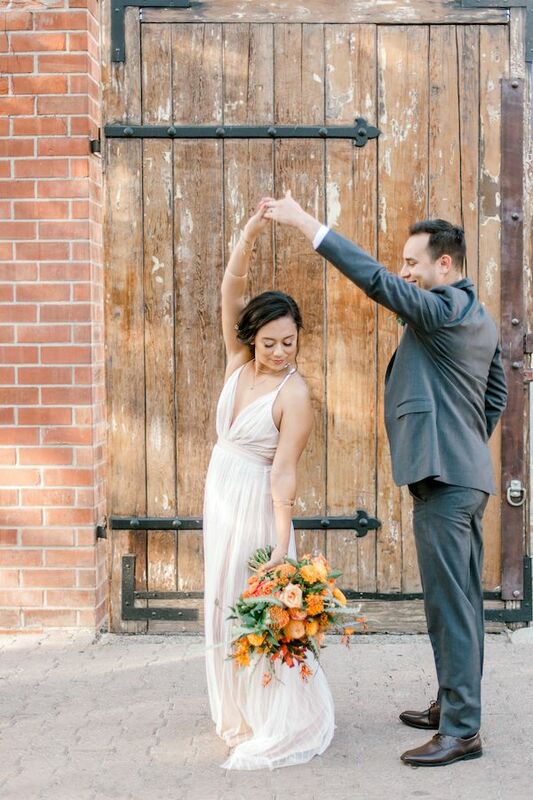 Everything was just so jaw-dropping on this day. 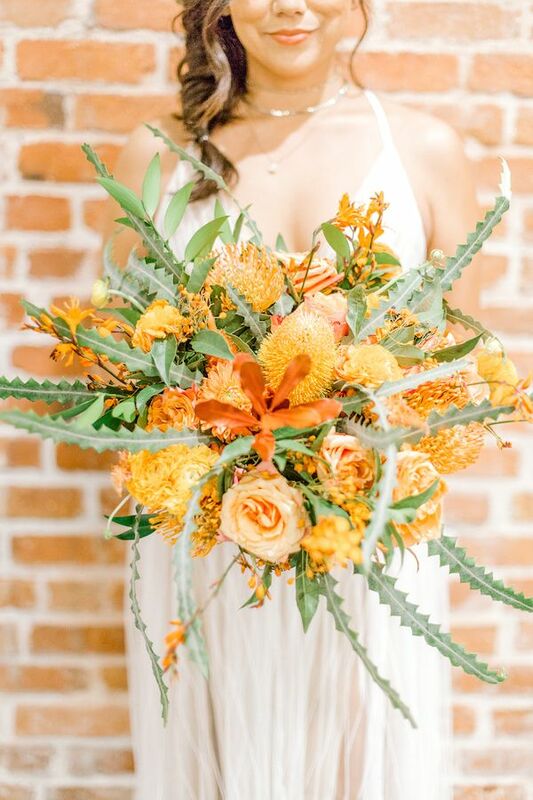 And the wedding bouquet that The Flower Story Co whipped up is definitely on the top of our 'lovely list.' 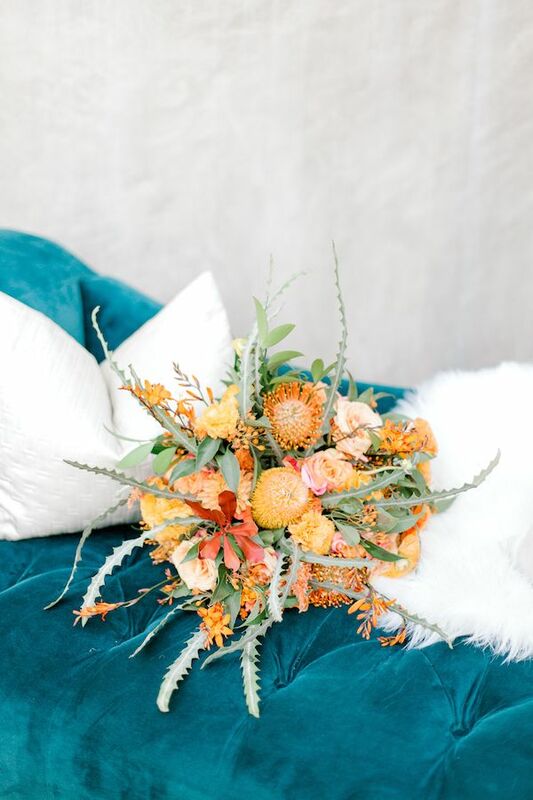 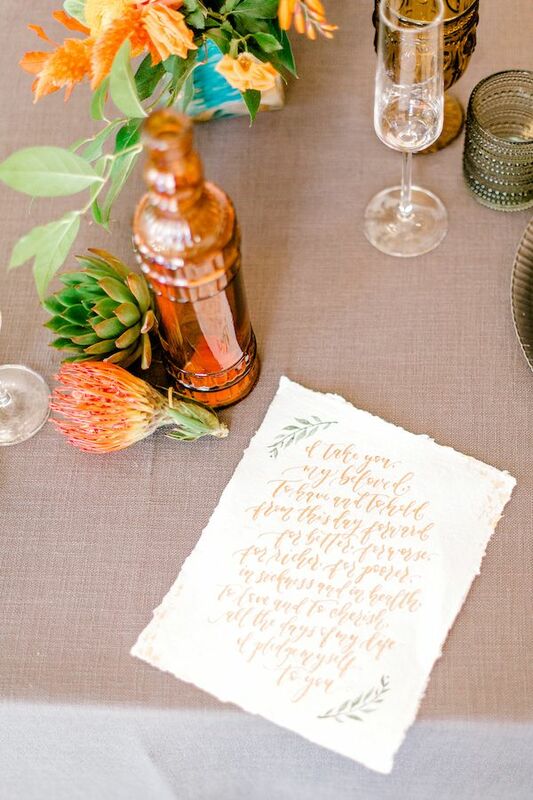 We spy zig-zag Banksia leaves, pin cushion proteas, lush orchids, and texture filled Banksia. 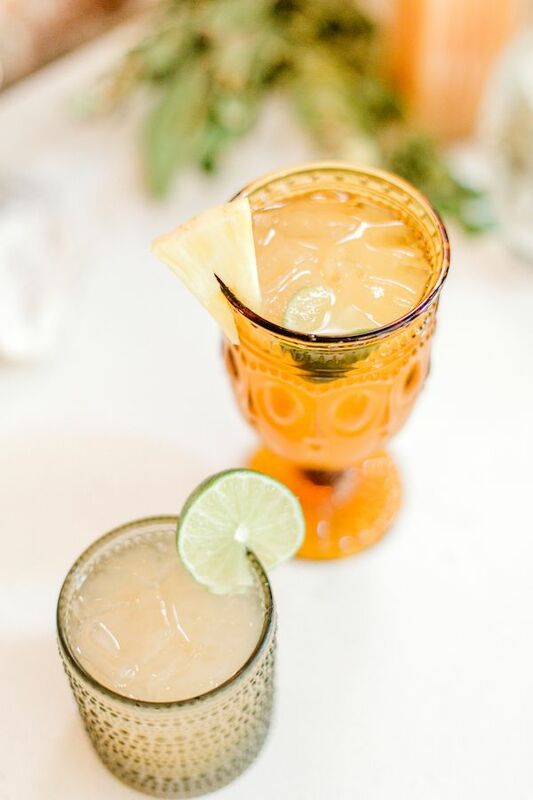 (just to name a few). 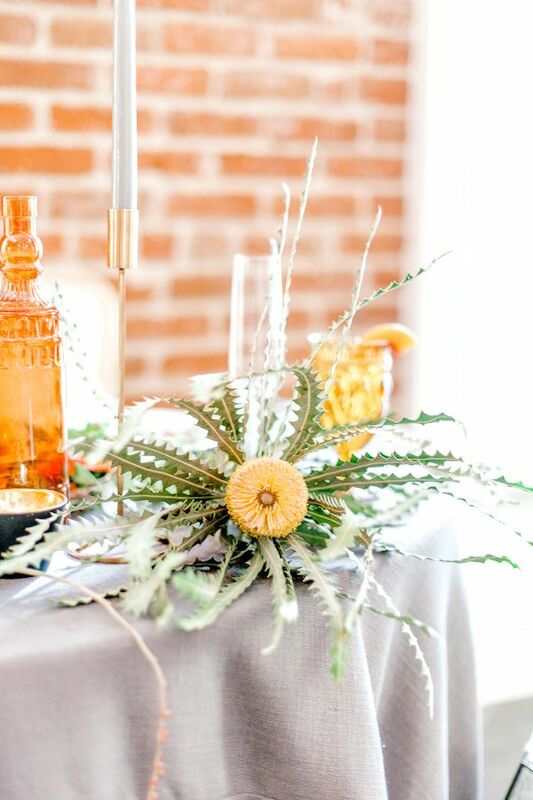 We're also seeing succulents and air plants in the tabletop design. 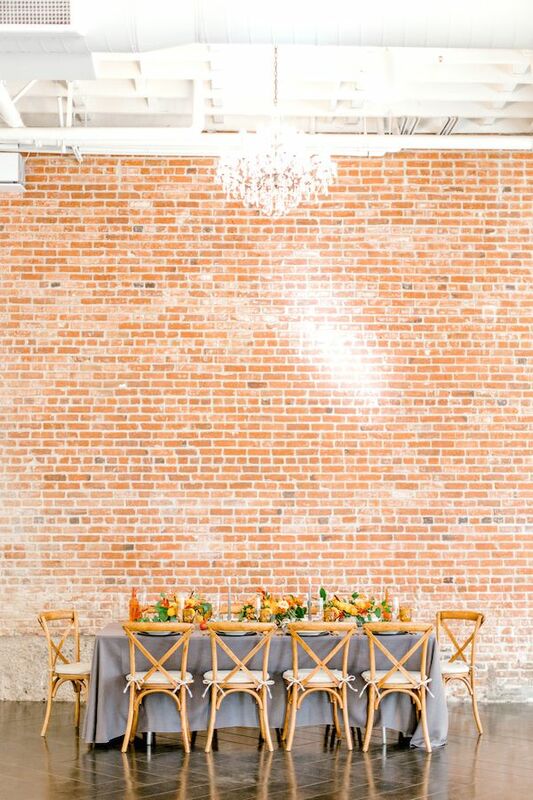 Baker Party Rentals helped set the scene for romance with tables and chairs and a lounge space that can only be described as, "goals." 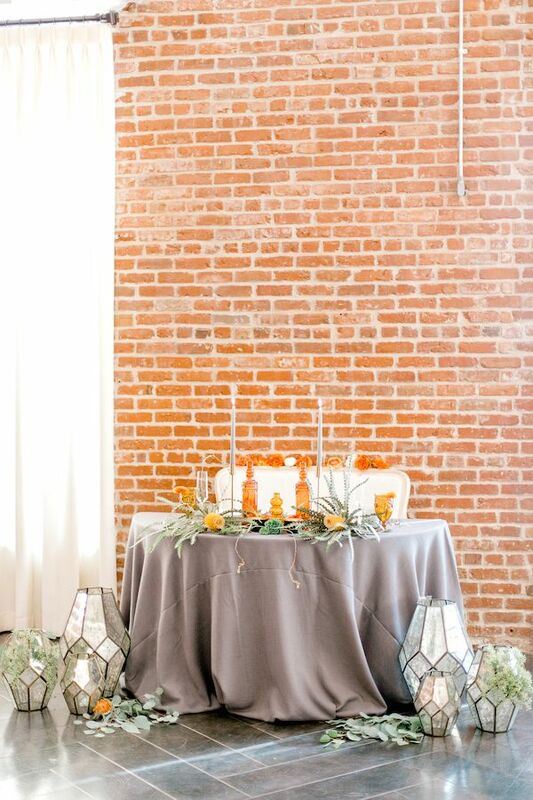 Because how beautiful was this set up? 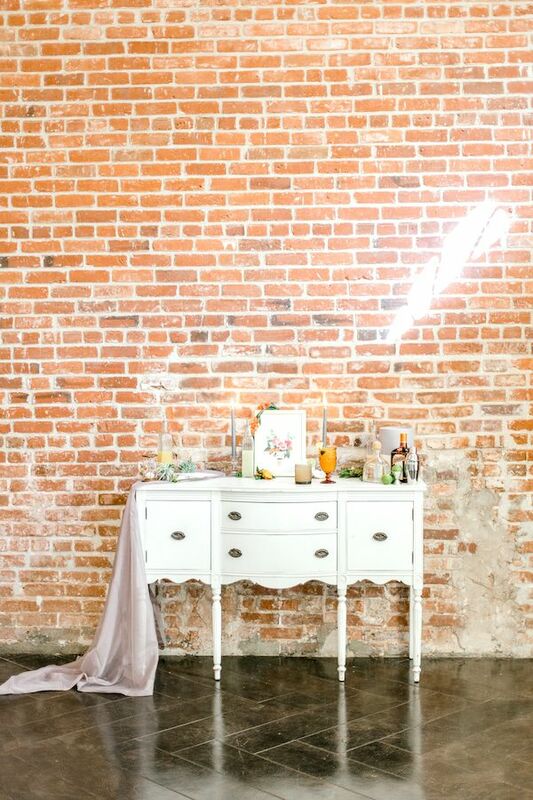 Plenty of textures filled this space! 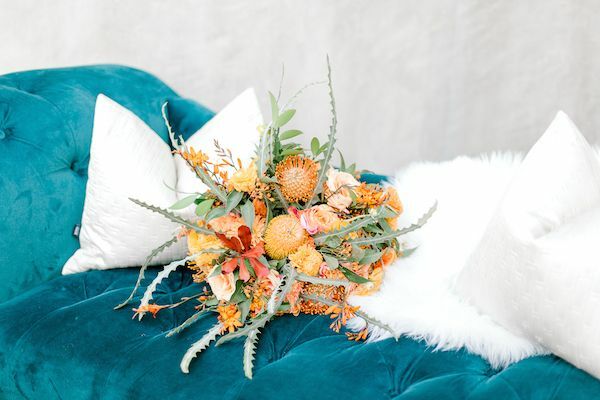 We're smitten with these furry throw blankets, and this velvet settee. 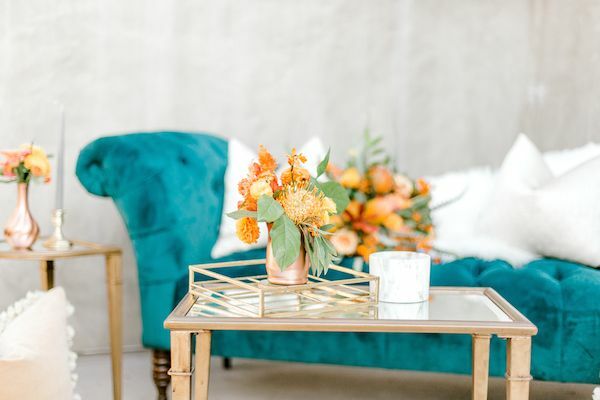 Plus what's not to love about these tassel pillows? 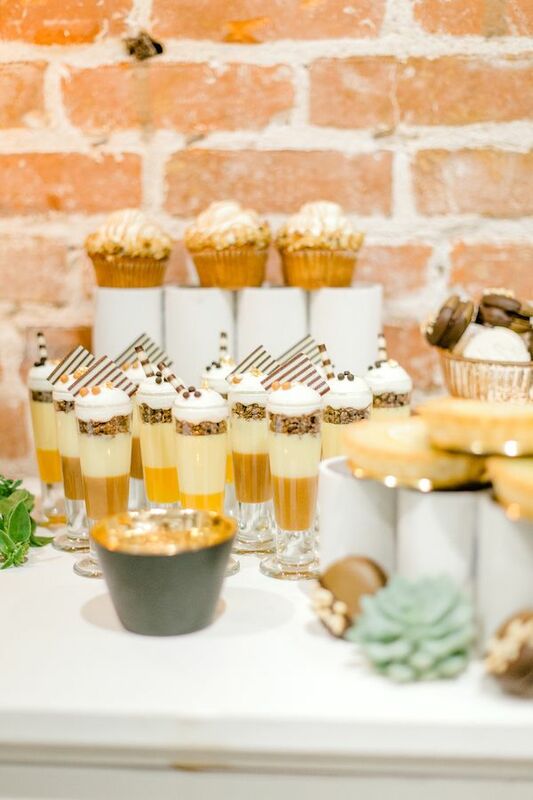 Jays Catering outdid themselves with this sweet presentation. 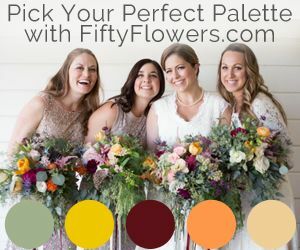 And they totally prove here that your food and drink selections provide the perfect opportunity to get creative and to tie your color palette into the day! 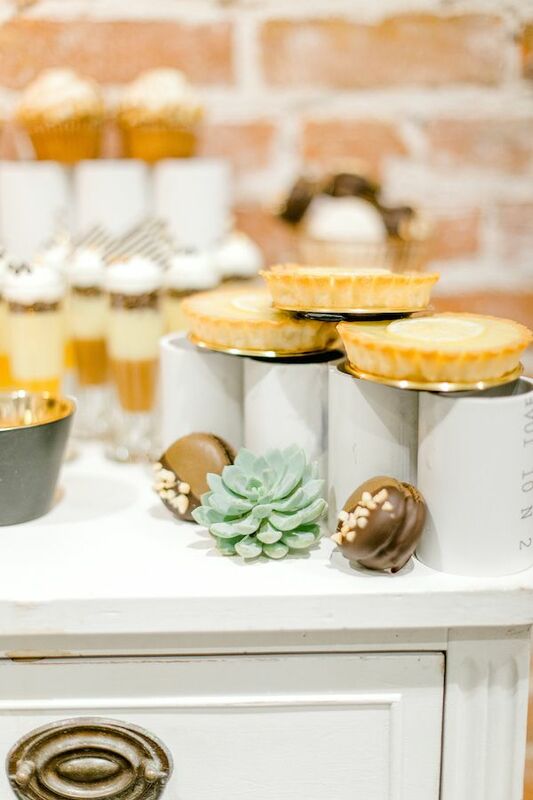 Fancy a sweet treat? 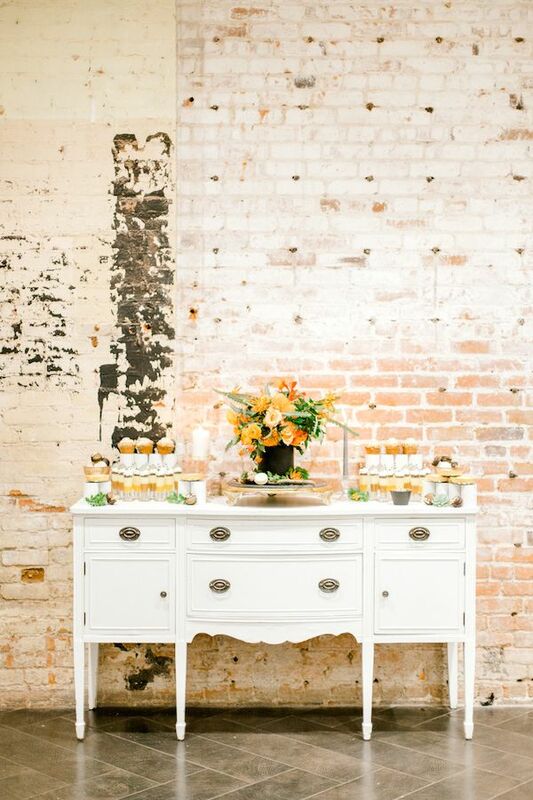 We're swooning over this dessert bar, m'dears! 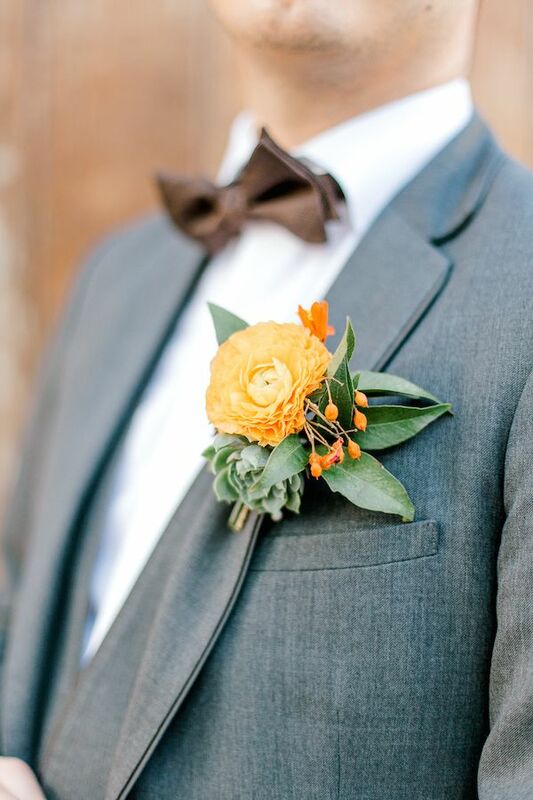 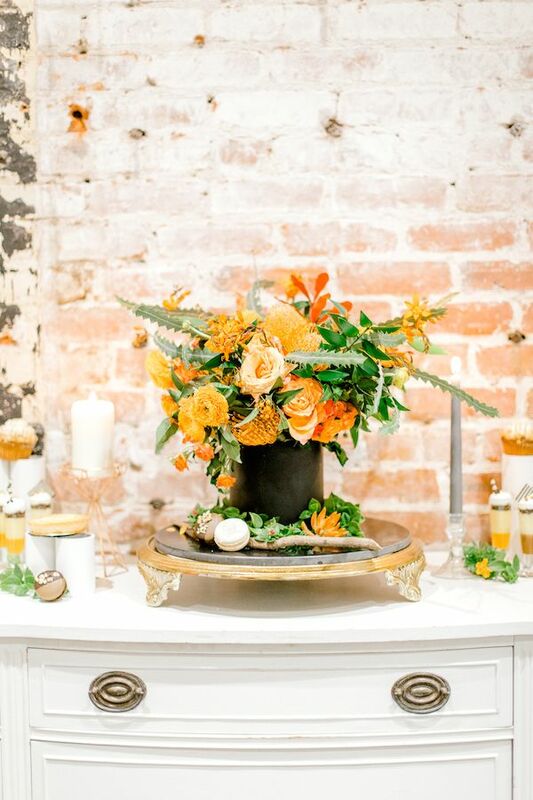 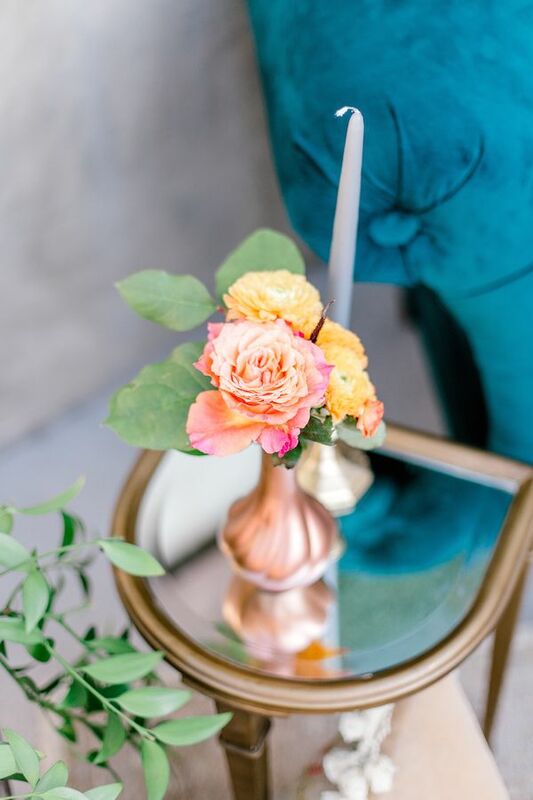 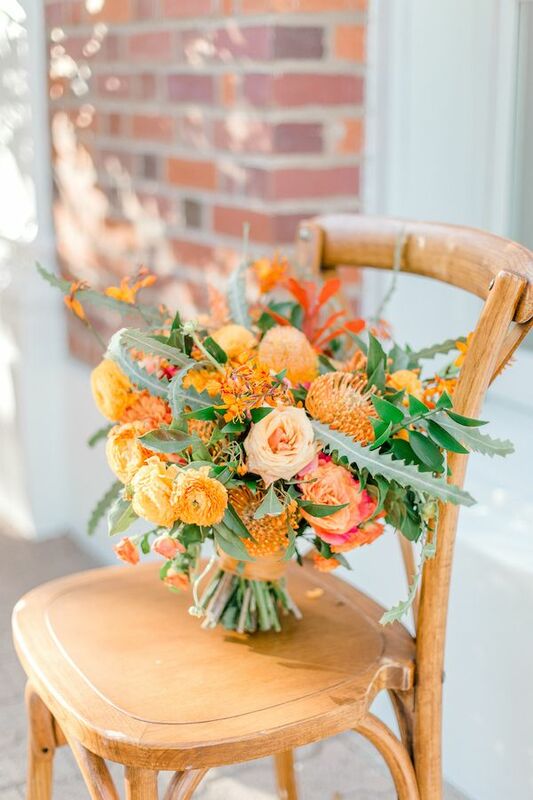 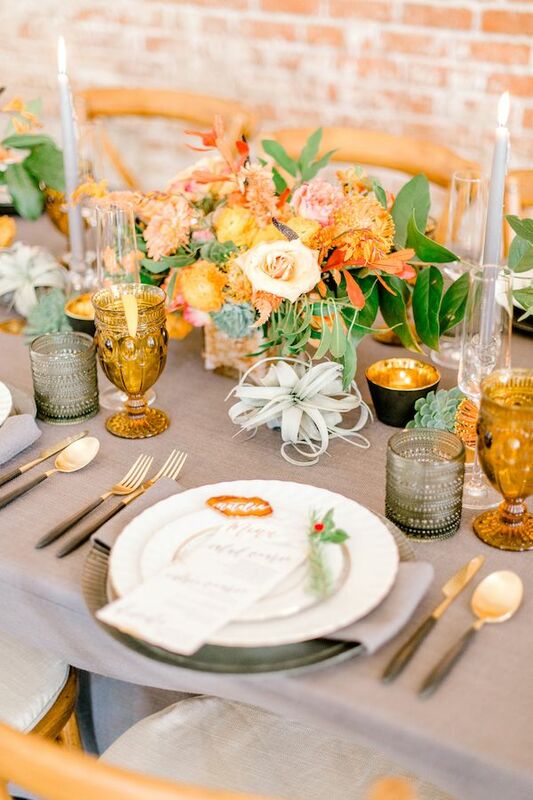 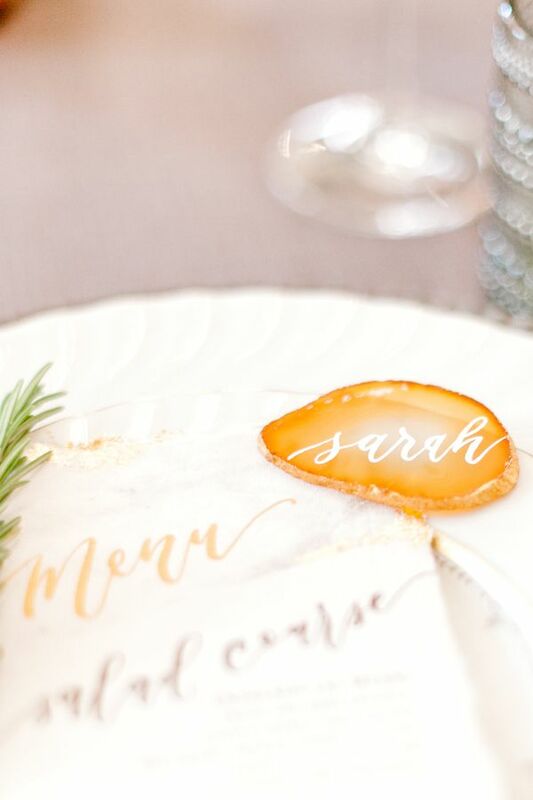 Oh, and we can't go without mentioning our love for this chic color palette which pairs orange with soft grays, browns, and greens. 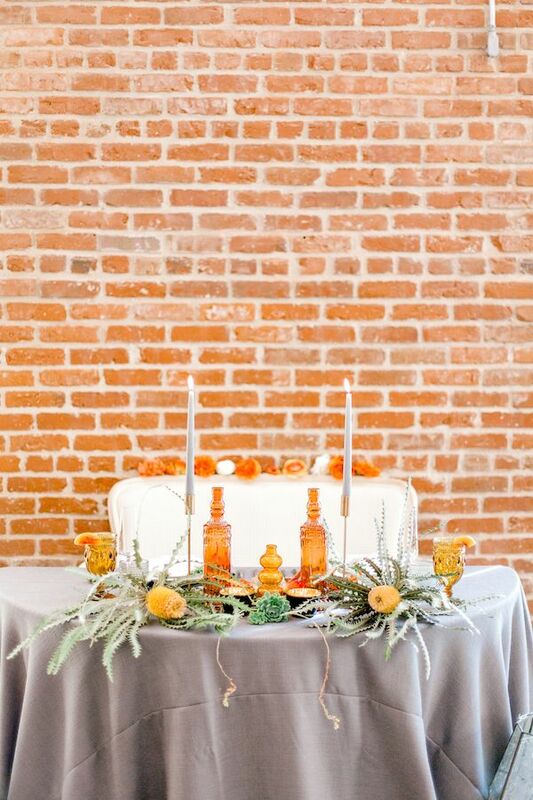 So much attention to detail was paid through the tabletop details. 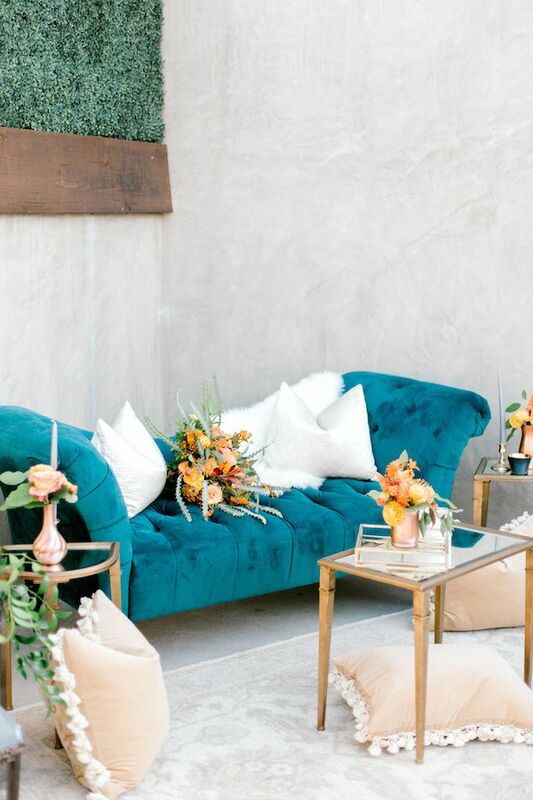 And we're just over the moon with how this team used color to bring their look to life. 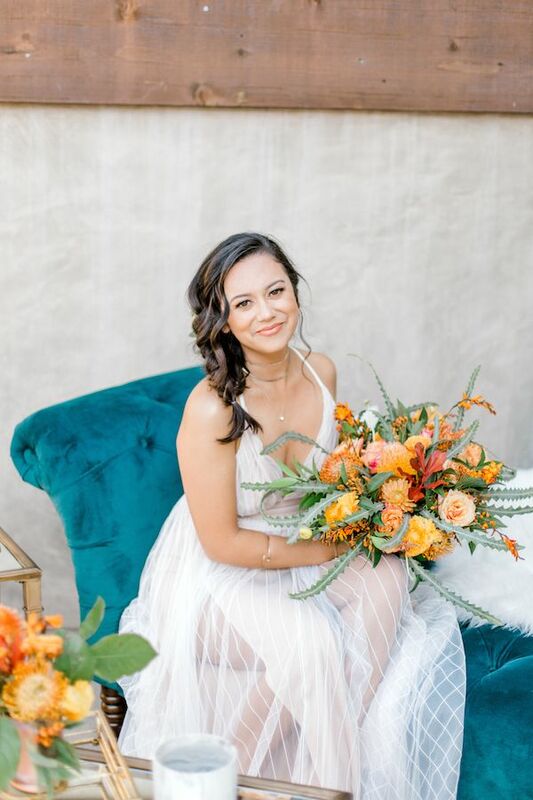 The dress from Shop Blush Elegance was a halter style which made the perfect choice for this easy breezy boho elegance. 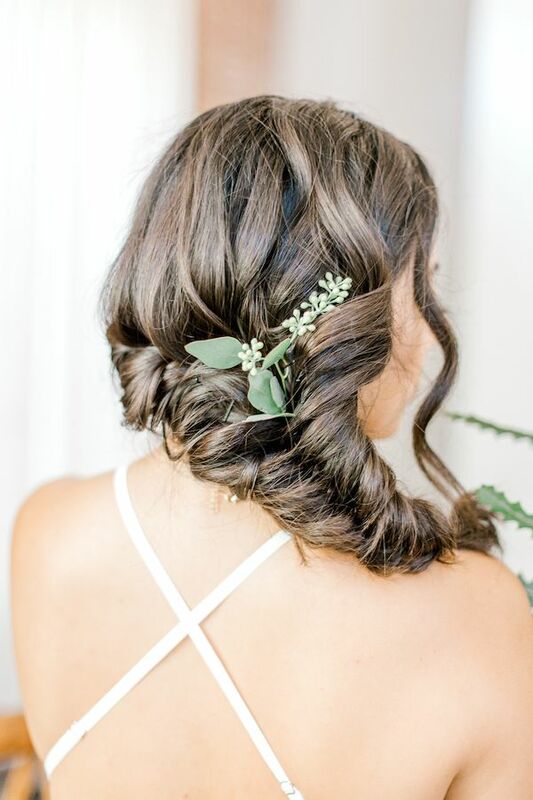 We're really liking the unexpected sheer overlay and these pretty linear details. 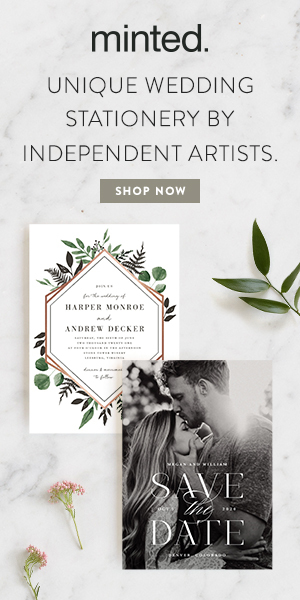 Harper & Grace Photography is a member of our wedding vendor directory! 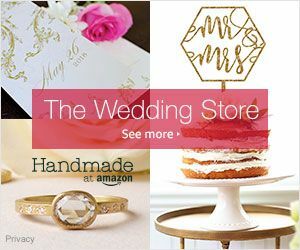 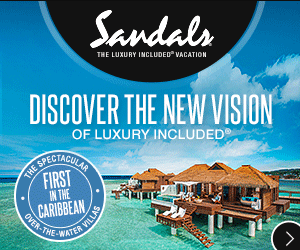 Click here to see how to become a member. 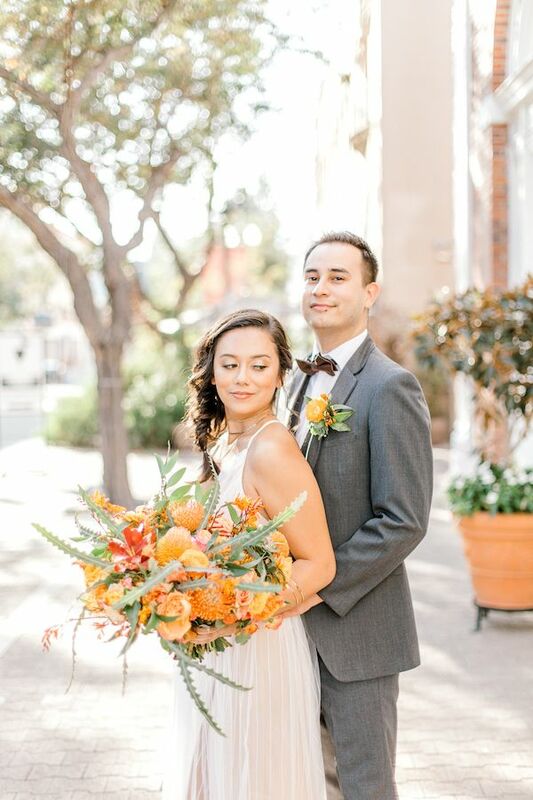 PS. 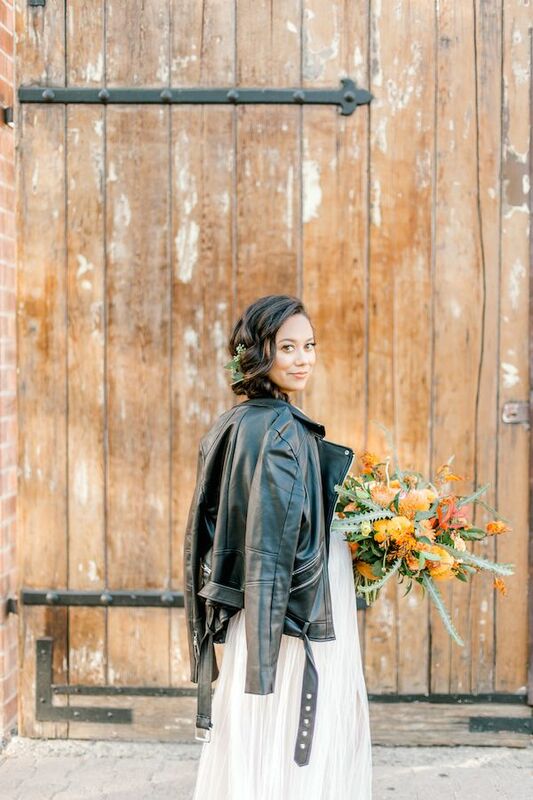 What's not to love about this bride's leather jacket? 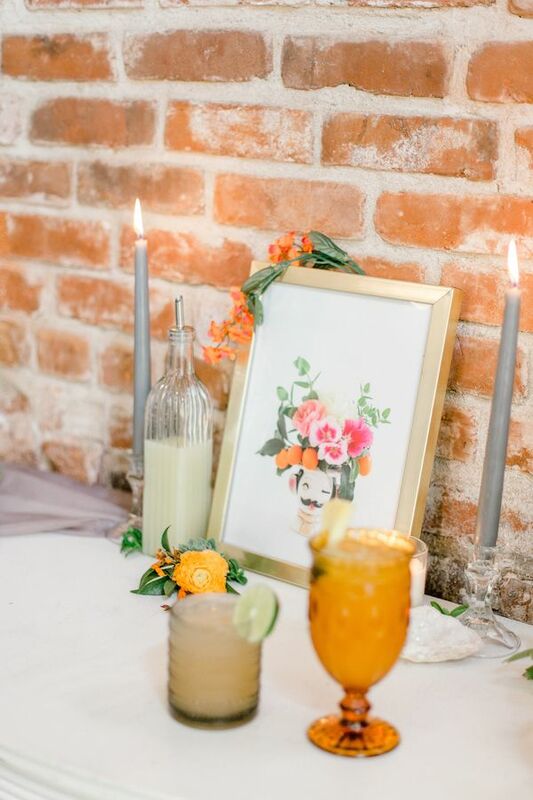 Total proof that your wedding day should absolutely be about expressing your style, through and through. 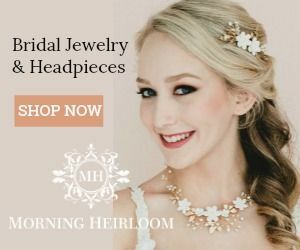 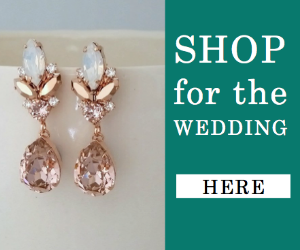 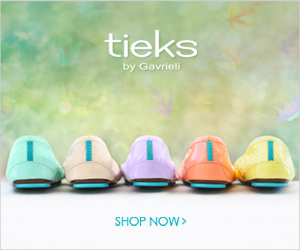 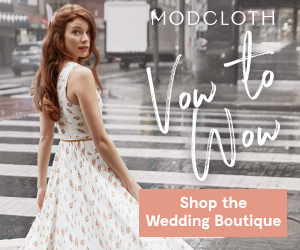 No Comment to " Earthy Industrial Chic Wedding Inspiration "